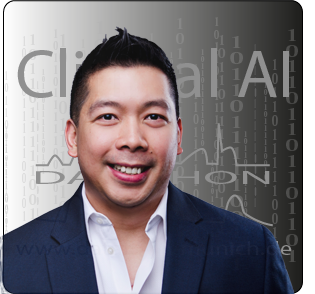 Clinical AI Conference & Datathon aims to foster collaboration between physicians and data scientists to improve patient care. Participants will deepen their understanding and skills of the extraction of clinically relevant knowledge form data during the conference keynote talks and hands-on workshops. They further have the opportunity to work on a challenging case study during the datathon running in parallel to the conference. Mankind has always been fascinated by the idea of creating technology that would match or even supersede human intelligence. While artificial intelligence after its birth in Dartmouth in 1956 had a rather slow start in medicine, new computational technologies and data acquisition, storage and analytic methods have arisen to allow the utilization of knowledge from millions of clinicians encoded in large clinical repositories. However, extracting this knowledge and translating it into clinical practice is a complex task, strewn with pitfalls. To identify and overcome these obstacles, international community efforts are required, combining the strengths of the knowledge of clinicians and data scientists. Therefore it is our mission to bring people together, combine strengths of these individual disciplines to achieve better patient care. A Datathon in medicine is a format, where interdisciplinary teams work with a database or dataset to answer medically relevant questions. In our Datathon, we will provide a dataset extracted from the MIMIC III Intensive Care database. This format has recently gained great attention in the medical domain. Its interactive nature brings together various groups, such as medical professionals, data scientists, informaticians, epidemiologists, and healthcare industrialists. Hence, it enables highly efficient utilization of the enormous amounts of health data available these days. Different teams will work on the same dataset and results will be compared at the end of the conference. This is a great chance for medical professionals to get involved with and learn about methods and possibilities of statistics and machine learning, and for informatics, statisticians, and epidemiologists to learn about medicine. a nurse, a student, or a professional working in the medical/pharmaceutical field who wants to contribute to new developments in medical AI. Of course we also would love to hear about your creative ideas if you are excited about meeting people from different fields that share your interest, looking for collaboration partners or always wanted to come to Munich. The conference will start on Wednesday, May 15th morning and last until Friday 17th afternoon. While the final program is still subject to change, Wednesday morning the datathon will start, teams will be assigned, the research question discussed and the dataset presented. Thursday will focus on scientific talks, presentation of methods of artificial intelligence and their applications, while the data athletes have time to work on the data extraction and analysis in the afternoon. Friday is designated to talks regarding the perspective of AI in medicine. Datathon teams will present their results. Official start of the Datathon: Introduction to the dataset and the problem(s) to be analyzed. Registration will start at 8:00 a.m.
Conference Registration will start at 12:30. 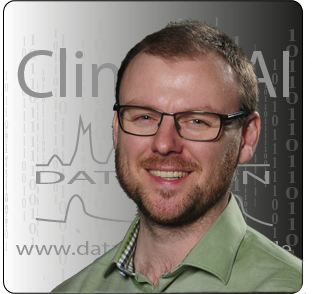 A Datathon in medicine is a format, where interdisciplinary teams work with a database or dataset to answer medically relevant questions. 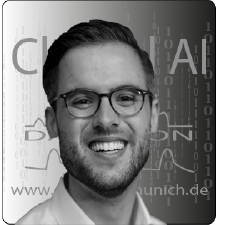 In our Datathon, we will provide a dataset extracted from the MIMIC III Intensive Care database to figure out the optimal potassium levels for patients during Intensive Care treatment. The entire ICU stay for patients was segmented into 2 hour chunks. For each given time window information on serum potassium, antiarrhythmic medication, vasopressors, diuretics, SOFA score, etc. will be given. Machine learning has already impacted our lives on many different levels. In this session, perspectives and ideas on machine learning in medicine will be explored. In order to make the most of modern AI technology, it is of utmost importance to work together. In this session, current efforts around the globe will be discussed. In order to make the most of modern AI technology, it is of utmost importance to work together. In this session, current efforts in Germany will be discussed. Workshops provide a great way to dive deeper into the methodology of data analysis. Where will artificial intelligence - and especially machine learning - lead medicine? What are the challenges and obstacles? Big Data versus Personalized Medicine - Really a Contradiction? The datathon athletes will present their results for given research questions relevant to medicine. Based on the answers. Privacy and confidential treatment of your information is very important to us. By registering for this conference you agree to having read, understood, and consent to the storage and use of your data. contact you after the datathon to make you aware of and allow you to access content relevant to the datathon. During registration, we will also ask your permission to contact you for upcoming datathons. Information about your professional background will be important to us to optimize the content of the conference. Since this is an international conference, we are interested in finding out, where registrants come from. All information is stored in a secured and password-protected database not accessible from the internet. Analyses of the distributions of professional background or country of residence will be performed in an anonymized manner, i.e. without name information. IP addresses are not tracked and only stored intermediary in the webserver's logfiles, which are regularly deleted. If you want to get in personal contact with us, you can send a contact request with a short message using the following form. Please remember to include all relevant information. Leo Anthony Celi has practiced medicine in three continents, giving him broad perspectives in healthcare delivery. 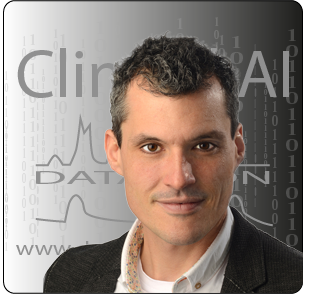 As clinical research director and principal research scientist at the MIT Laboratory for Computational Physiology (LCP), and as an attending physician at the Beth Israel Deaconess Medical Center (BIDMC), he brings together clinicians and data scientists to support research using data routinely collected in the process of care. His group built and maintains the public-access Medical Information Mart for Intensive Care (MIMIC) database, which holds clinical data from over 60,000 stays in BIDMC intensive care units (ICU). He is one of the course directors for HST.936 – global health informatics to improve quality of care, and HST.953 – collaborative data science in medicine, both at MIT. He is an editor of the textbook for each course, both released under an open access license. The massive open online course HST.936x “Global Health Informatics to Improve Quality of Care” was launched under edX in February 2017. Finally, Leo has spoken in more than 30 countries about the value of data in improving health outcomes. 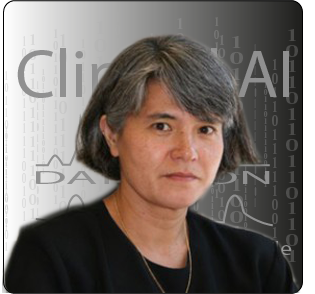 Lucila Ohno-Machado is Full Professor and Chair of the Department of Biomedical Informatics, as well as Associate Dean for Informatics and Technology at University of California, San Diego. She serves as the Director for the Biomedical Research Informatics for Global Health Program as well as the San Diego Biomedical Informatics Education and Research Program. Furthermore, she serves as the Editor-in-Chief of the Journal of the American Medical Informatics Association (JAMIA). Amongst her many accomplishments, her recent efforts have focused on creating and advancing iDASH - integrating Data for Analysis, Anonymization, and Sharing. iDASH stands for the development of technology that allows data sharing and utilization in a privacy preserving manner. Maurizio Cecconi is Full Professor of Anesthesia and Intensive Care Medicine at Humanitas University and the Head of Department at the Humanitas Research Center in Milan. He previously worked as Reader and Clinical Director at the Adult Critical Care Department of St George's Hospital and University of London. 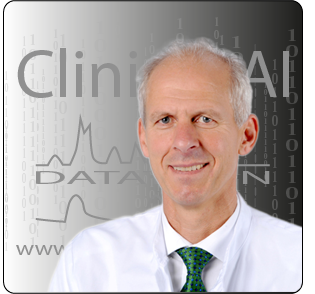 He has been very active in clinical research in Intensive Care, Anesthesia, Perioperative and Emergency Medicine, focusing on hemodynamic monitoring and optimisation, physiology of the critically ill patient, and epidemiology of perioperative outcomes. He served as Chair of Scientific Affairs of the European Society of Intensive Care Medicine and has recently been appointed President-elect for 2020-2021. 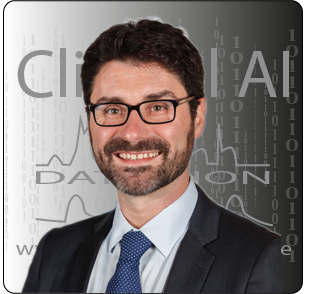 He hosted ESICM's Big Data Talk & Critical Care Datathon in Milan in February 2019. Djillali Annane is the Counselor of the French Minister of Health for Research and Medical Education and Dean of the Faculty of Medicine at the University of Versailles SQY, was the President of the Council of Deans of the Paris Universities, was the Vice-Chancellor of university of Versailles from 2004 to 2007, and is the President of the French Society of Intensive Care Medicine, and the Head of the critical care department at Raymond Poincaré University Hospital (AP-HP) in Garches, Paris, France. He has completed MD in 1991, and a PhD in pharmacology in 1995, both at Paris Descartes University. He has contributed to the medical literature with more than 260 peer-reviewed articles, has written about 100 book chapters, has given more than three hundred invited conferences at international scientific meeting, and has been invited as a visiting professor in numerous academic centers in Europe, North America and Australia (source: ebpom.org). Herwig Gerlach is the Director of the Department of Anesthesiology, Critical Care, and Pain Management at the Vivantes Klinikum Neukoelln Hospital in Berlin, Germany. His expertise spans from cellular mechanisms of pathogenesis of inflammation and sepsis over strategies on bedside laboratory monitoring of inflammatory mediators in patients with severe sepsis, and multiple trauma to Medical Informatics.In his Master thesis for the MBA, which was finished in 2014, he analyzed more than 6,000 calls for pre-hospital emergency units and found several associations of patient-dependent and independent impact factors for the quality of care. 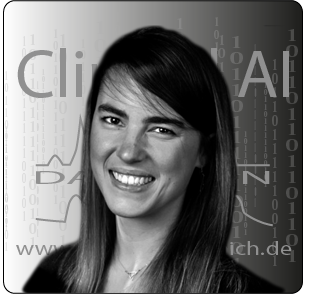 The last years, Dr. Gerlach concentrated on the implementation of Markov simulation methods for predictive modeling in critically ill patients based on large data bases from international studies. At present, he is leading the Vivantes group hospitals as participant of the German ICOSMOS project, which is a government-sponsored quality improvement program for severe sepsis. 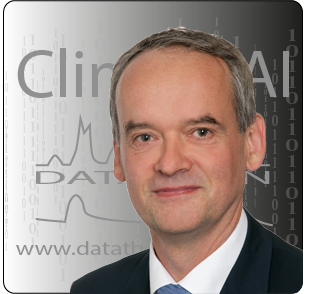 He was Chair of the ESICM Section “Systemic Inflammation and Sepsis”, constituted the Steering Committee of the Sepsis Survival Campaign and is currently Vice President of the German Sepsis Society. Marine Flechet holds a PhD in Biomedical Sciences from the University of Leuven, Belgium. In her PhD, she developed prediction models for acute kidney injury and traumatic brain injury in critical illness, and translated these models into bedside clinical applications. She received her Master's degree in Biomedical Engineering from the University of Liège, Belgium, and the École Polytechnique Fédérale de Lausanne, Switzerland. 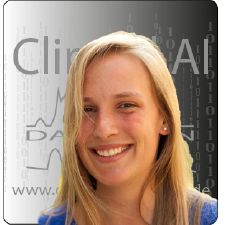 Her work on the application of artificial intelligence for glucose control in intensive care, in collaboration with the University of Canterbury, New Zealand, was awarded twice the prize of the best master’s thesis in (Biomedical) Engineering (AILg and AIM). Sven Zenker is an attending physician in the Department of Anesthesiology and Intensive Care Medicine at the University Clinic in Bonn. He has additional expertise in mathematics, physics, and computer science. 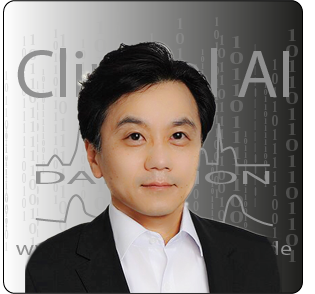 Dr. Nidan Qiao is a neurosurgeon at Huashan Hospital, Fudan University. His research work is centered on integrating innovative statistical approaches to neurosurgical and neuroendocrine diseases. 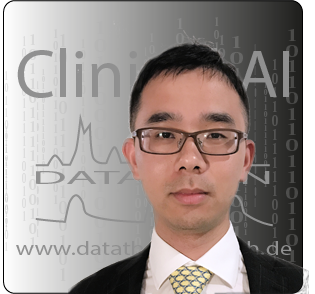 His main projects were visual prognosis in patients with pituitary adenomas, endocrine prognosis in patients with sellar region tumors and machine learning application in clinical medicine. He is the author or co-author of more than 25 peer-reviewed publications in Neurosurgery and Endocrinology and a regular peer-reviewer for many professional Journals. He will publish a book on deep learning in 2019. He recieved several domestic and interantional research funds on artificial intelligence. He had several oral presentations at different international conferences on both neurosurgery and artificial intelligence. He got fellowship award from MILSTEIN MEDICAL ASIAN AMERICAN Partnership Foundation. Dr. Qiao received his M.D. in Clinical Medicine from Fudan University. He is now in Master of Medical Science in Clinical Investigation program at Harvard Medical School and doing clinical research in Massachusettes General Hospital. 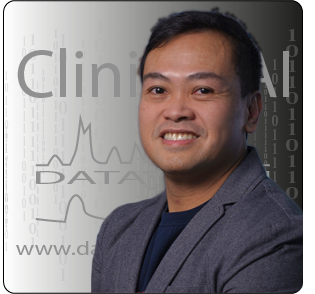 Delwin Villarante MSHI, BSN, RN, CTFL is an informaticist and certified software quality assurance test engineer at Philips Healthcare in the Patient Care Monitoring and Analytics business group. Prior to joining Philips, he worked full time as a critical care RN at Beth Israel Deaconess Medical Center in Boston where he continues to practice on a per diem basis. Delwin has been a clinician for over 17 years. His clinical experience ranges from long term care to acute, critical care and emergency services. His industry background includes a role as a clinical specialist for Transmedics Inc, where he traveled around the US and Germany supporting clinical trial of the Organ Care System. He was also a clinical informatics analyst for New England Baptist Hospital. He obtained his BS in Nursing at The Pontifical and Royal University of Santo Tomas in España Manila, and received his MS in Health Informatics degree at Northeastern University in 2014. He currently serves as Director for membership and recruitment at NENIC (New England Nursing Informatics Consortium), and is currently exploring a multi-disciplinary study on burnout among critical care nurses. 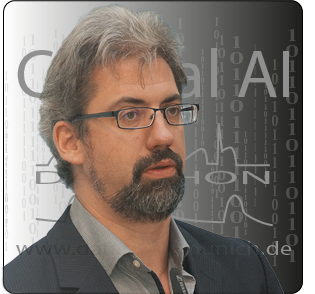 Fabian Prasser is an informaticist and the technical leader of the DIFUTURE project. He is a specialist on a variety of research topics including information systems for research, knowledge and information management, information integration, database systems, data privacy, data anonymization and de-identification. Heidi Seibold is a statistician who is passionate about open and reproducible research. 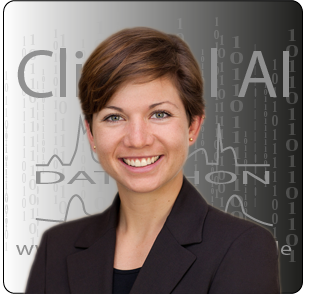 She develops machine learning methods for personalized medicine. Her methodological work is in the conjunction of statistics and machine learning and her focus is on tree and random forest methods in combination with regression models. Bernhard Zwißler is Full Professor and Chair of the Department of Anaesthesiology of the University Hospital of the Ludwig-Maximilians-University of Munich. He served as the elected president of the DGAI (German Society of Anaesthesiology and Intensive Care Medicine) and Editor-in-chief of "Der Anesthesist", the German professional journal for Anesthesiology. As one of few, he is developing a perioperative biomedical informatics training program for anesthetists. 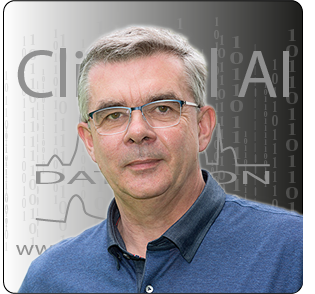 Ulrich Mansmann is Full Professor and Chair of the Institute of Medical Information Processing, Biometry and Epidemiology at Ludwig-Maximilians-University of Munich. Ulrich is a trained mathematician who has been working on problems of clinical epidemiology for 25 years. Prognostic models intrigue him and are the central scheme of his scientific activities. He did some methodological research on this topic and applies it to problems in molecular oncology. Ulrich is also interested in building tretament desicion scores. As a biostatistician, he is active in a large series of clinical trials. Since 2005 he holds the chair of biometry and bioinformatics at LMU's Medical Faculty. He is also head of LMU's data integration center. He is member several large national and international medical consortia contributing biostatistical input into their research activities. 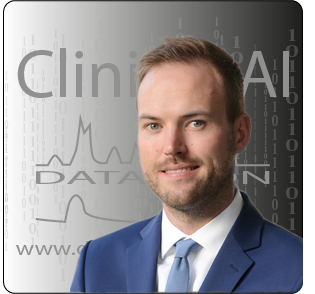 Chris Hinske is a board-certified Anaesthesiologist with cardio- and neurosurgical ICU experience and a Master's degree in Biomedical Informatics from MIT. 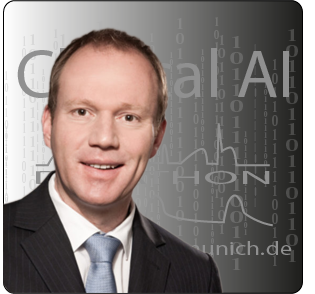 He is an attending physician and Head of the Perioperative Medical Informatics group at the Department of Anesthesiology of the Ludwig-Maximilians-University Hospital in Munich. His research interests span from bioinformatics models to explore the role of intragenic miRNAs to medical data modeling to improve perioperative patient care. He is coordinating the organization of this conference. Ben Illigens is the CEO of UniMedIT, a subsidiary enterprise of VUD (Verband der Universitätsklinika Deutschlands) and MFT (Medizinischer Fakultätentag) in Germany, with the mission to enhance and innovate Health IT at the German academic hospitals and medical faculties as it relates to patient care, clinical research and medical education and training. He holds an MD degree from Free University of Berlin, Germany, a Master’s Degree in Biomedical Informatics from Harvard Medical School and is a certified Applied Biostatistician. He is a Lecturer of Neurology at Harvard Medical School, the Program Director of the Master’s Program in Clinical Research at Dresden International University, Germany and a continued faculty of the Principles and Practice of Clinical Research course at T.H.Chan School of Public Health, Boston. He is the author of many peer-reviewed papers, several books, recipient of numerous prizes and grants and conducts active collaborations across the world. Chris Sauer obtained his Bachelor of Science in Medicine at Maastricht University in 2014, where he was a student representative of the University Council. In the meantime he participated in the Honor’s program in research with a special focus on oncology. For his thesis he was awarded the student price. He deepened his knowledge of oncology at the Dana-Farber Cancer Institute, focusing on Diffuse Large B-cell Lymphoma. He also holds a doctorate from RWTH Aachen University and a Master of Public Health from Harvard T.H. Chan. He currently works as a medical consultant at McKinsey &Company. 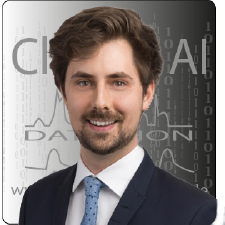 Simon Schäfer is a senior attending physician at the Clinic of Anesthesiology, with an expertise in perioperative medicine, intensive care medicine, and healthcare IT. He's active clinically, scientifically, and politically. He has received numerous awards for his research especially in the field of critically ill patients. He serves as a reviewer for multiple high-class medical journals and is associate editor at BMC Anesthesiology. Currently, he is applying methods of Artificial Intelligence to advance coagulation management during complex operations with a high risk of bleeding and emergency care. Larissa Neumann is a final year resident in Anesthesiology at the University Hospital of the LMU Munich with a two year experience in Critical Care Medicine. Her research focusses on clinical data science and perioperative biomedical informatics. 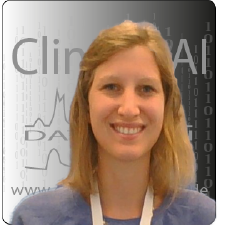 She is fascinated by machine learning and excited about applying methods of Artificial Intelligence in medicine. Andrea Becker-Pennrich holds a Bachelor’s degree in Business Information Systems from the Baden-Wuerttemberg Cooperative State University Mannheim (in cooperation with IBM). Before entering the field of perioperative biomedical informatics she has been working as a paramedic while receiving a Master’s degree in Communications Management. 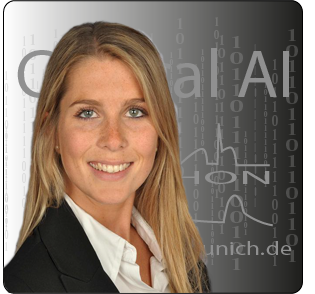 She is currently enrolled at the Ludwig Maximilian University of Munich as a student of Epidemiology and works on her master thesis as a member of the Perioperative Medical Informatics group. Andre Beinrucker holds a PhD in Mathematical Statistics from Potsdam University. He has work experience both in industry and academia. Grigorij is a passionate dad and resident in anesthesiology. 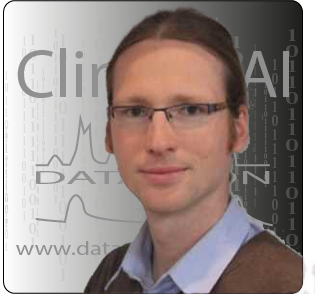 As clinical investigator at the University Hospital Bonn he is mainly interested in alanlysis of electronic health records in critical care and trauma management. He successfully finished a research fellowship at the Massachusetts General Hospital studying pulmonary circulation and was an instructor for the HST.953 course, collaborative data science in medicine, at MIT. In his spare time, Grigorij learns to program and sings the blues. Stephanie graduated from RWTH Aachen (Germany) and Ecole Centrale Paris (France) with a double master's degree in Engineering. Currently, she is working at Philips Acute Care Solutions department where she works on machine learning algorithms for Intensive Care Units. She is fascinated by the chances machine learning offers to advance medicine. René Eber received his M.A. in Business Innovation and is working as a consultant while also pursuing an academic career in computer science. He studied at the University of St. Gallen, Harvard University, the RWTH Aachen and Massachusetts Institute of Technology. 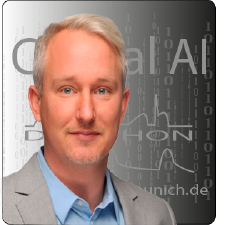 His focus is on leveraging machine learning to help companies to gain competitive advantages by bringing together what is strategically desirable and technologically possible. Niklas Rindtorff is a Fulbright fellow at the Broad Institute and an MD/PhD student at Heidelberg University. 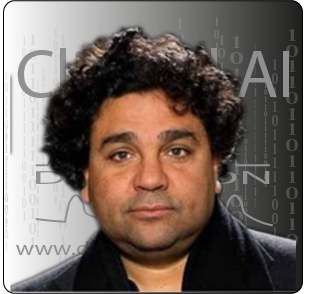 He received a masters degree in biomedical informatics in 2019 from Harvard Medical School. His research is focused on improving treatment recommendations in precision oncology based on methods such as functional in-vitro testing of patient derived cancer models, clinical image analysis and causal inference of treatment effects. After leading a student-run company during medical school, he remains interested in current developments around digital health. He leads a workshop at this conference. 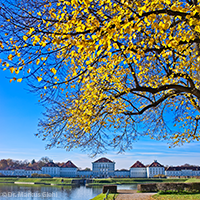 … the most beautiful city in the south of Germany and the capital of Bavaria. 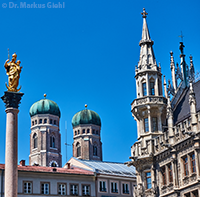 Munich – a city of arts and science - is a place with stunning architecture, an amazing food scene, cordial people, and a rich history. It unifies the Bavarian heritage as well as a vibrant modern lifestyle. Two renowned research universities, multiple global players, research organizations, and a booming start-up scene contribute to its innovative capacity. Marienplatz (old and new town hall, Frauenkirche, Church of St. Peter), Nymphenburg Palace, English Garden, Munich Residence, BMW Welt, Olympiapark, Alte and Neue Pinakothek, Deutsches Museum, Zoo Hellabrunn, and many more. A major goal of this conference is to bring people excited about using modern technology to advance patient care together. 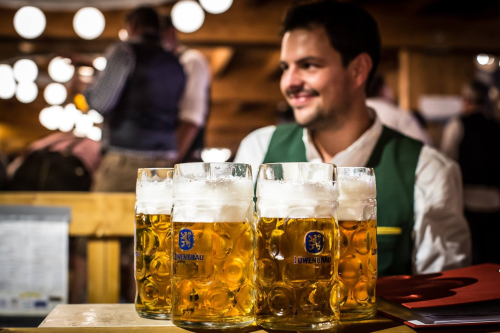 As we do not want you to leave Munich without a typical Bavarian experience, we would like to invite you to our social event on Wednesday night, which will take place at the beer garden ‚Löwenbräukeller‘. Shaded by chestnut trees, and spoiled with Bavarian food and drinks we would love to spend a memorable time together. 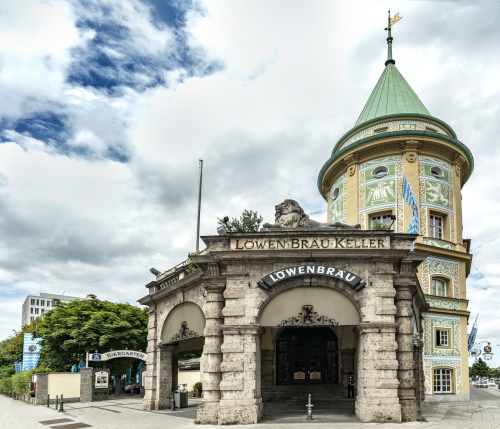 You will fall in love with the beauty of Munich. Especially when the weather is nice and sunny, you can enjoy yourself in the nature in and around the city. 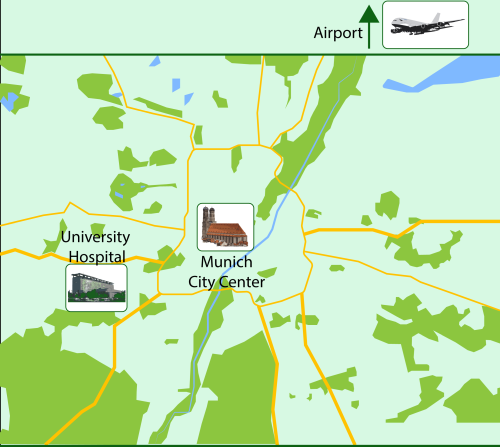 Munich is surrounded by spectacular landscapes as the Bavarian lakes and the Bavarian alps. Personal data of Users are only processed with respect to functionality of the website and to gather required information for the conference. Therefore, these data will only be stored and processed with the explicit consent of the user or registrant and in accordance with federal and European regulations. Data will be deleted as soon as it has fulfilled the primary purpose of collection and kept no longer than for twelve months after the conference. Personal data can be deleted upon request before the end of that period. These data will be saved and analyzed in pseudonomized form. Saving and registering the IP address of the client is necessary in order to respond to the web request and deliver content, for which the time of the session also needs to be saved. The other aforementioned statistics will be collected to improve the content and site performance and will finally be transformed into an anonymized summary statistics. Storage of these data and browser log files are in compliance with Article 6, paragraph 1 lit. f of the GDPR. Data will be deleted once they have been processed for their primary purpose, at latest twelve month after they have been collected. Since these data are necessary for the correct functionality of the website, the user cannot dissent their collection. In addition to the provided information, date and time, as well as the ip-address of the submitting user may be stored. Please understand that registration is not possible without at least name and email address. You may also contact us via the provided contact form (you will have to provide an eMail address at the minimum, however, in order for us to reply). Data submission via internet form (for example via eMail) cannot guarantee complete security of the transmitted data due to potential security leaks. Therefore, a complete protection of data from access through third parties cannot be guaranteed by us. Due to the voluntary nature of the provided information, you as the user consent to storage and processing of the submitted data. Data are collected and processed for initiating contact, according to Article 6, paragraph 1 S.1 lit. a GDPR on the basis of voluntary consent. Legal basis for the processing of data sent via eMail is Art. 6, par. 1 lit.f GDPR. We only process personal data in order to communicate of for processing a contact request and conference registration. Therefore, the legitimate interest of processing the data is herein justified. Your personal data will not be transferred to third parties. However, your personal data may need to be revealed in case of legal inquiries or otherwise legally justified requests from official organs. The user has the right to retract the consent for storage and processing of personal data. In these cases, further communication will not be possible. The dissent has to be communicated either in written form via eMail or regular mail, or via telephone. Cookies are automatically created text files that are stored on the hardware of the user, such as PC, laptop, or smartphone. These files will be saved by the browser without inflicting harm. For usability of the website, so-called session cookies will be utilized by our website. Also, for security reasons a so-called cross-site forgery request protection cookies are generated. Even though these files allow to identify the computer when revisiting the site, no direct connection to the users' identities will be made. The legal basis for the utilization of cookies, storage, and processing is Art. 6, paragraph 1 lit.f. GDPR. The utilization and storing of Cookies can be deactivated and deleted by the client's browser. Upon user request, we will provide information about what data are stored for one user, storage time, receivers of this information, as well as the legal basis of data processing and storage. Furthermore, the user has the right to correct, limit the processing, transmission, information and deletion of his personal data. The user has the right, to revoke the agreement to process his or her personal data (Article 21 GDPR). The dissent can be submitted under the given contact information. In case the user is of the opinion that these data are processed under false obligations, she or he has the right to complain at the Data Privacy Authority. This data privacy statement maybe subject to change secondary to legal or authorative requirements or based on additional features of our website. The most current data privacy statement can be found at https://www.datathon-munich.de/ . This website contains links to external websites. We have no influence on and can be held resonsible for the content of these webpages. Importantly, this data privacy statement does not extend to these sites. If you have questions regarding data privacy, please send an eMail to datathon (at) med.uni-muenchen.de. Version from March 1st 2019.